As our population grows older, so grows the incidence of mental impairment and dementia. Researchers at WSU are searching for means of not only coping with, but of curing it. What it comes down to is, who we are is what we remember. Identity, consciousness in its broadest sense, is memory. And thus, our great fear of losing it. Psychology graduate students Chad Sanders and Christina Low guide groups of memory-impaired people and their partners in adapting compensatory techniques. Jay Wright (left) and Joe Harding have discovered that drugs they work with will restore neural connectivity destroyed by dementia in animal models. And for whom is it worse, the person who forgets who he is as memory fades, or the partner who watches helplessly as the person she loves disappears? Dementia, the end of memory, is not a disease. It is a condition caused by a number of different diseases: Pick’s, Parkinson’s, and the most common, Alzheimer’s. Dementia is a relatively new affliction, simply because we live longer. Dementia was relatively infrequent until the last half of the twentieth century because so few people survived to old age. But now, 12 percent of our population are 65 or older. Five and a half percent are 75 or older. These numbers will only continue to grow. And with age comes dementia. Currently, 5–10 percent of those 65 or older are believed to have dementia. Of those 85 and older, that likelihood is 40–50 percent. This translates to between four and six million people in the United States with Alzheimer’s disease. Since Alzheimer’s represents only about half of dementia patients, the total number is approximately eight to twelve million. Those numbers are expected to double by 2050. However, even though the incidence of dementia correlates with our rising age, it is not a normal part of aging. And thus, one of our great modern hopes is to find a cure, or short of that, better ways to cope. As a guest, I’m the only one around the table without a partner. Half of the assembled company at the WSU Visitor Center in Pullman one morning this summer are having memory problems. The other half are spouses, children, good friends, who are here to help their partners cope with fading memory. There are 13 of us, including Chad Sanders and Christina Low, graduate students in psychology who are leading the group. As each person introduces him- or herself, I am struck by their familiarity and humor. Louise (I am using pseudonyms for the sake of privacy), who sits next to me, announces gravely, “My name is Louise, and I have no idea why I am here.” Following a well-timed pause, she winks at me and laughs. Carl, on my other side, is amiable, but less jovial than Louise. He introduces himself, matter-of-factly, as having recently been diagnosed with Alzheimer’s. Across the table is Marie, impeccably dressed in a crisp tailored blouse with a silver broach, who nursed a memory-impaired husband for 15 years until he died. Now, her own memory slipping, she is here with her daughter to learn how to compensate. Today, their fourteenth session, after general conversation and reporting on their weeks, the participants will work on using their memory notebooks for daily scheduling. 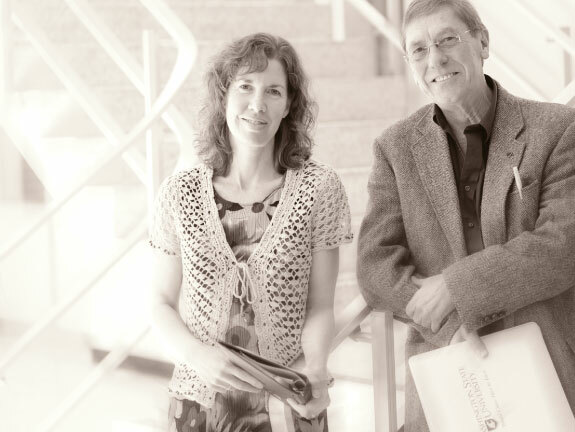 The group is part of ongoing collaboration between neuropsychologists Maureen Schmitter-Edgecombe and Dennis Dyck combining two intervention techniques to provide a compensatory strategy and social connections for patients and caregivers. Schmitter-Edgecombe brings to this collaborative table what she calls “cognitive rehabilitation.” Her main tool is the memory notebook as a memory aid. The notebook consists of a daily log section, including an hourly log and to-do-today list. Each session the participants are given assignments and asked to report on how they used the notebook since the previous session. With various techniques that help reinforce memories and an emphasis on healthy lifestyle behavior, the goal is to help patients maintain functional independence, thus delaying diagnosis of dementia. Schmitter-Edgecombe and Dyck have received funding from the Alzheimer’s Association to combine her methodology with an approach Dyck has long expertise in called multi-family group intervention. Multi-family group intervention started with work by psychiatrist William McFarlane with schizophrenics. Dyck, who at the time was director of the newly formed Washington Institute on Mental Illness, was drawn to McFarlane’s work. He invited him out for presentations on the approach. 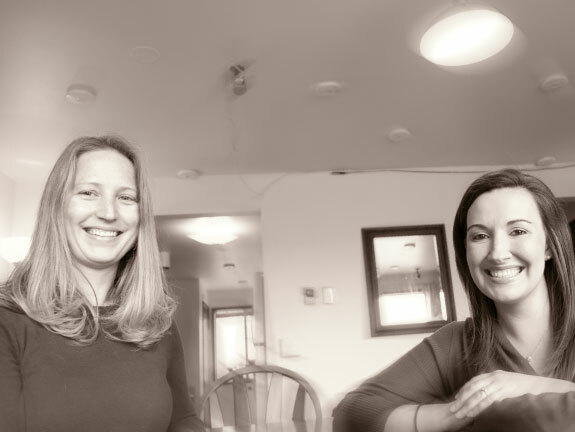 As the name suggests, multi-family group intervention brings together a critical number of “dyads,” patient and caregiver pairs. Dyck was particularly interested in using the treatment in community-based settings because hospitals were discontinuing their treatment programs due to cuts in federal spending. Dyck adapted the approach for participants who had suffered brain and spinal cord injuries and then for veterans with traumatic brain injuries suffered in Afghanistan. “We want to give people a place to come back to,” he says. Given the progressive nature of dementia, at some point caregivers will have to make tough decisions, from when to take away the car keys to when their loved one can no longer be cared for at home. Weaving together the multi-family group and cognitive rehabilitation approaches gives the participants a powerful tool, in the form of the memory notebook, and both patients and caregivers a supportive network. It is also an intricate process. “This is one of those things that looks seat of the pants, but is well-structured,” says Dyck of the group session. I had realized about halfway through the session that it was indeed far more tightly scripted than first appeared. Sanders and Low were relaxed and conversational, but persistent, heading off wayward conversations, bringing the discussion back to the matter at hand—how to use the memory notebook to remember. It’s great that we all like each other, they imply, but there’s work to be done here. After explaining in general what we’ll be doing over the next three hours and orienting me to the “smart apartment,” Courtney McAlister and Jennifer Walker disappear up the stairs. 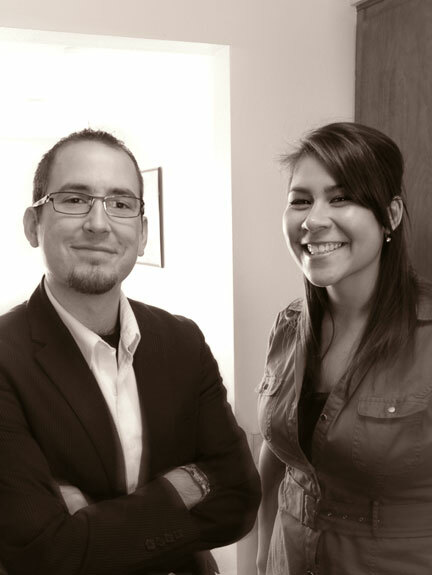 McAlister is a graduate student working under Schmitter-Edgecombe in the memory lab, and Walker is manager of the lab. A couple of weeks earlier, McAlister had run me through a battery of “neuropsych” tests, at my request, so I could better understand the issues at hand. At 59, I had no reason to worry about my memory, other than the periodic forgotten names and other temporary blank spots. Yet I was surprised by my anxiety over taking the test. What about that last word in a recalled series? Why can’t I remember it? Does it mean I’m losing it? Now, in the second part of my testing, I am sitting in the “smart apartment.” Tucked away in one of the university’s student housing blocks, the apartment is part of a collaboration between neuropsychologist Schmitter-Edgecombe and Diane Cook, a computer engineer. There are two things going on here. One is they are testing me and my ability to conduct certain everyday tasks. They are also developing the ability of the apartment to help people live on their own longer. Cook and Schmitter-Edgecombe are refining algorithms that identify the activity that an inhabitant is performing based on the sensor data collected during the activity. Although the goal is to monitor a person’s activity, the researchers set out to keep the monitoring noninvasive. Rather than invade a person’s privacy by videotaping or otherwise observing, they are developing a system that uses motion and temperature sensors that will be able to tell when a person is having problems or has deviated from his normal routine. The apartment is wired throughout with motion and temperature sensors, as well as analog sensors that monitor water and stove burner use. My first task is to wash my hands. Sensors record the water flow. Activities of varying difficulty follow: selecting clothes for a young friend’s job interview, sweeping the floor and dusting the living room, cooking oatmeal, fixing noodles for my imaginary friend’s lunch. I watch a DVD (which I have to figure out how to turn on) of Good Morning America. I write a birthday card to my sister (who will be amazed that I remembered) and write her a check (which will surprise her even more). I sort pills for the day’s consumption, call Safeway for a recipe, file bills. After I finish planning a trip to the museum with a friend, for whom I’ll later fix dinner, for which I gather ingredients from the cupboard, I am finished. Just about. I am quizzed about the order of tasks, about how difficult I found them. Or maybe that was earlier? Regardless, Jennifer and Courtney tell me I have moved through the tests and tasks the quickest of anyone who has gone through the smart apartment routine. Following an initial flush of pride, however, I realize that I am probably 20 years younger than most of my compatriots. And maybe I skimped a little on the dusting. My wife and son are out of town, so I am having dinner with my mother-in-law. She is 92 and has just been through the same tests as I have. Not only has her cat just died, she has just received the report of the testing in the mail and is disheartened, but not surprised, by the results. Then again, she can’t remember any of the specifics. She scrutinizes the menu, a deliberate and repetitive process. The waiter offers to return in a few minutes. “Where are Diane and David?” she asks. Our conversation somehow moves to religion. She recounts, as she often has, how she and her brother asked her hitherto secular parents why they couldn’t get dressed up and go to Sunday school like all the other kids in Jamaica Plain. So her mother took her to the Christian Science Mother Church on Huntington Avenue in Boston and enrolled her in Sunday school. Now, she is reciting at length Mary Baker Eddy’s tenets of Christian Science, searching only briefly for a missing phrase. The recitation is eloquent and lucid, beautiful in its phrasing and depth. Then she repeats a story she had told me 15 minutes earlier. When her salad arrives, she comments, in German. Why did I use German, she asks, then reaches into her memory for the equivalent comment in French, then Spanish. Although I haven’t yet read the results of her testing, I assume they are different from mine, as is natural since my mind and my memory are 33 years younger. And in spite of her frustration, and fear, in spite of the obvious loss of short-term memory, her mind is remarkable in what it produces, from events 50 years ago, from books long ago enjoyed, from distant conversations, detailed recollections. 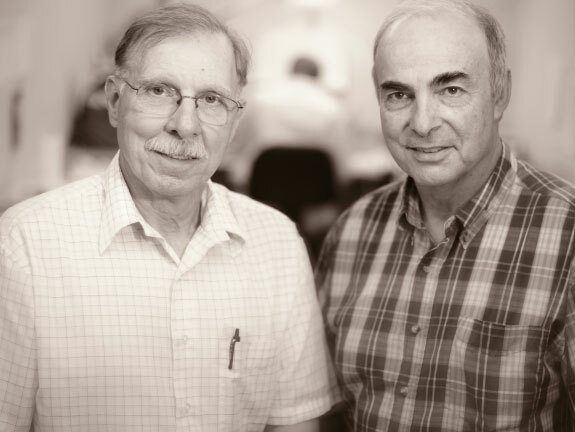 Biochemist Joe Harding and neuroscientist Jay Wright started out a couple of decades ago working with angiotensin, a peptide normally considered to be involved in regulating blood pressure. But then they discovered the AT4 receptor, which turned out to be involved not with blood pressure, but with memory acquisition and consolidation. They started experimenting with different things, different animal models. At one point, they were working with a stroke model, conducting experiments in which they simply applied drugs that interfered with the key neurotransmitter involved with memory. One procedure involved cutting half the neural inputs to the hippocampus, which is key to spatial orientation and short-term memory. Intrigued, they continued down this so-far mysterious path. Obviously, they were on to something: A drug that restores memory. Exciting as the possibility might be, however, the molecules of the angiotensin they were working with at the time had no clinical potential, says Harding. They were huge, far too large to pass through the blood-brain barrier, a filter that protects the brain against toxins. “The only way you could get them in a person was to drill a hole in their head and drop them in,” he says. But new forms of angiotensin analogs kept getting smaller, down to just a few amino acids. “And then we got lucky,” says Harding. What they had stumbled on is that those few amino acids that make up the small angiotensin molecule look like part of a growth factor that stimulates neurons to expand the number of connections they make to other neurons. “It happens to be a critical part of the protein. We started seeing all these behaviors and things that didn’t jive with angiotensin. It took literally close to a decade to figure out how it worked. Now, 20 years later, they understand that the angiotensin they work with will restore neural connectivity in their animal models—restoring connectivity destroyed by dementia. “Our interest is more in dementia in general,” says Harding. “None of these models is perfect. Our bottom line is they [animal models] have a learning deficit. In most dementia, Harding explains, the main problem is not so much a loss of nerve cells, though there is some, but rather a loss of connections. Thus, Harding and Wright’s focus, once they realized what they were working with, was using their drugs to renew connectivity. Even in spite of neuronal loss, they have repeatedly found a direct correlation between expanding neural connections and improvement in learning. These drugs do not, he says, correct whatever disease causes dementia. Rather, they are ameliorative, correcting some of the connectivity damage. Although their work is very exciting, there is no guarantee that their drugs will work in humans. They are filing patents, creating a new biotech company with the help of WSU’s Intellectual Property office, and are ready to begin toxicity trials and then test the drugs on humans. They have five papers coming out over the next few months that will lay out the whole story. They are also currently in discussion with a couple of pharmaceutical companies. Not only could these drugs be a powerful weapon against dementia, the procedures Harding and Wright have developed may also make it possible to work backwards regarding the theory of memory, says Wright.